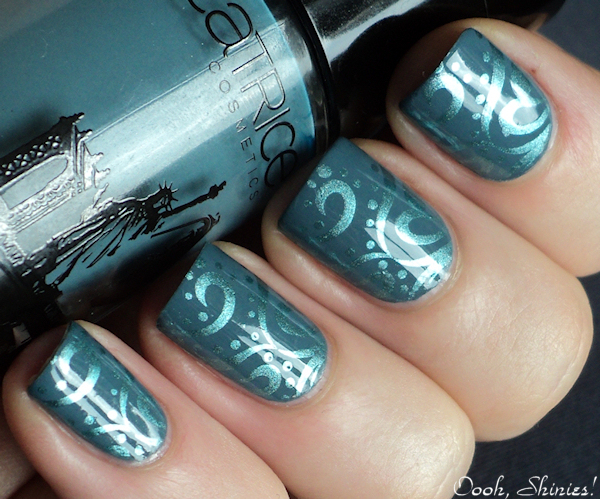 Fashion Polish: Guest Post : Bregje from Oooh, Shinies! rocks a stampalicious design! Guest Post : Bregje from Oooh, Shinies! rocks a stampalicious design! Seriously, I have a few very dear friends in Holland and their country holds a very special place in my heart so I am very happy to have Bregje's guest post for you all today. Hey all! Let me start with saying thank you to Sam for asking me to join in with the guest posts, it's such an honor to be here! In the bottle it doesn't look special, but I really like how it can look different and match with whatever green/blue-ish basecolor you use. And it's a metallic, gotta love stamping with those! To visit Oooh Shinies!, you can either follow the link or click on the image below. Thank you for visiting girls! AMAZING!!! I LOVE IT A LOT!!! What a brilliant colour combination! I love the metallics used for stamping! This is gorgeous! Love the different textures. Beautiful mani , love this shade! 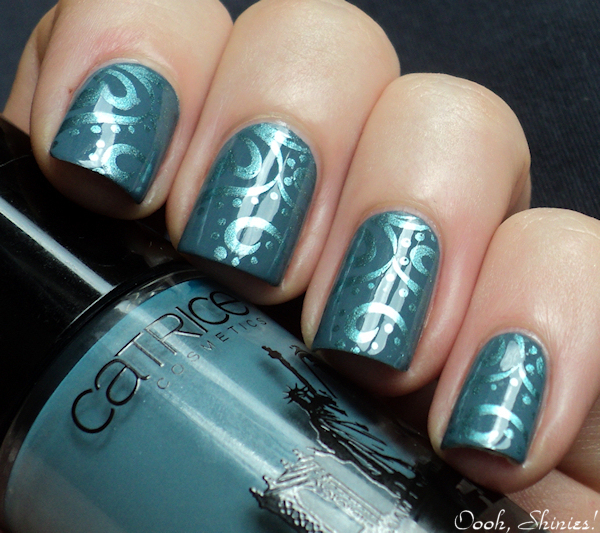 I love the tone on tone stamping manis - esp when there is some metallic or shimmer to the stamping. Oh my gosh this is so gorgeous! It's subtle, but still beautiful! Ow love, love, love! Bregje ur nails are also zo perfect. Ah, of course. <3 Bergje always does to die for stamping job. I LOVE the colours! Bregje is just so perfect at creating these stunning combo´s ♥.